Offering cloud development expertise – we have been developing award winning web databases and web portals since 1995. Using the latest Microsoft database technologies, we can help you develop an intranet, extranet or portal to meet your exact requirements. Our track record includes: bespoke training software systems, survey systems, resource planning databases, secure client login and reporting applications as well as comprehensive subscription-based series of web products for a major publisher. Please get in touch when you need a client portal, staff portal or intranet. The portals we develop are equipped to revolutionise business practices by providing a means of interacting online quickly, easily and securely using the latest tools and cloud technology. To ensure your needs are fully met, our development services include an initial consultation as well as the design, development and implementation of the end product. Thanks for all your hard work developing our client portal, it’s looking good! 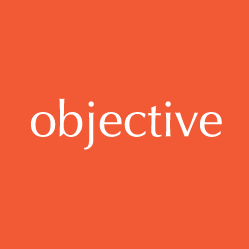 Objective’s web portal development team in Essex can help you design and develop a cloud based web portal and the entire infrastructure behind it. Web portals provide an intuitive interface for information and services you may need to share with your clients, members or staff. When you need a cloud-based solution get in touch. Our web portal development team can help you understand how to improve customer loyalty through your web portal. Loyal customers are not only advocates for your business – they are also crucial for the growth of your company. A web portal can help your business conveniently capture and manage data from clients or staff. We will develop your web portal to ensure data is used to communicate more effectively. We ensure the online portal you require maximises your efficiency and ideally cuts down your staff’s work load by allowing customers to enter information themselves and validate this data. Objective IT will make sure you are 100% satisfied with your web portal. Throughout the process we will ensure you are kept informed of development progress. Our aim is to give you and your customer’s great value and create more advocates for your business. We understand how to develop a modern and efficient web portal that offers a faultless user experience, helping you to stand out from the crowd. A client portal is a type of extranet, it can be used for many different purposes, such as an online learning resource or checking tariffs. Objective IT’s development team in Essex can discuss your clients’ needs with you and help you improve your customer loyalty through a client portal. A member portal allows staff to access whichever resources you choose to make available to them. We can develop a member portal that ensures different members can only see resources relevant to them. Through a member portal, we can help you cut down the time that staff spend providing members with information as well as giving your members more resources via the portal. A staff portal is effectively an intranet. We can define the needs of your staff and develop a solution that’s best suited to your business. By developing your staff portal Objective IT can help you increase communication and collaboration between staff, implement different levels of access, give you a strong understanding of how your staff work, and much more. We use standard tools including Microsoft Access, Microsoft Excel, Microsoft SharePoint, Microsoft SharePoint Web Parts, Web Services, Microsoft SQL Server, Microsoft .NET including VB.Net, ASP.Net and C#.net.